Reverend Justin Edwards D.D. lived in this house with his wife Lydia Bigelow of Colchester, Conn. and family. Their marriage intentions were recorded on July 25, 1817. 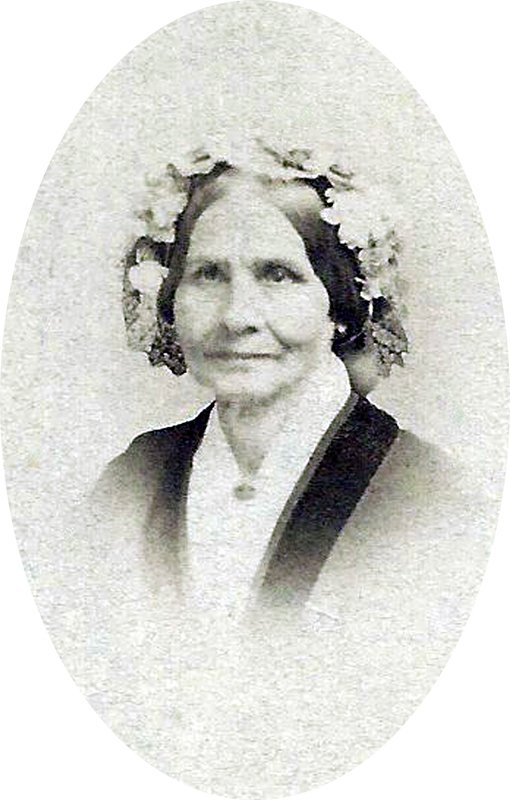 Lydia was the daughter of Asa Bigelow b. Nov. 2, 1789. Justin Edwards was born in Westhampton, MA on April 25, 1787, third child of Justin & Elizabeth (Clark) Edwards. He graduated from Williams College in 1810 as Valedictorian, was a student of the Andover Theological Seminary from March 1811-1812. Justin was ordained a minister Dec. 2, 1812 and became the pastor at South Church, Andover from Aug. 10, 1812 – October 1, 1827. Rev. 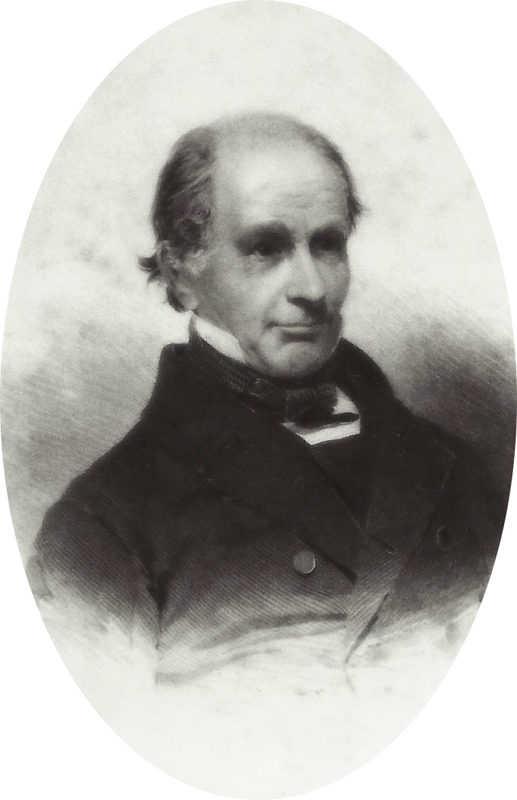 Edwards was one of the founders of the American Tract Society Boston (with the printing-house in Andover), and the corresponding secretary and manger until 1825. Justin was then Corresponding Secretary of the American Temperance Society from 1829-1836. He became pastor of the Salem Street Church in Boston on Jan. 1, 1828 – Aug. 20, 1829. Edwards received an honorary degree of Doctor of Divinity from Yale in 1827. Rev. Edwards D.D. 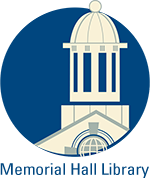 was elected President of the Andover Theological Seminary on Sept. 7, 1836, served until April 19, 1842. For seven years he traveled through 24 states as Secretary of the American & Foreign Sabbath Union. He was author of Sabbath Manual, Temperance Manual and several other publications. Rev. Justin Edwards died July 24, 1853 age 66 at Bath Alum Springs, Virginia and was interred at the Chapel Cemetery in Andover on Aug. 2, 1853. His wife Lydia died Feb. 4, 1868. On April 27, 1872 son Rev. Jonathan Edwards sells the homestead property to George F. Swift, who lived at 53 Main Street. George Swift bought the house only for investment purposes. He was well known in town for his public involvement in beautifying the town with tree planting and improving the landscape. The following articles were published in the Andover Advertiser. Jan. 10, 1873 AA – Mr. M. C. Andrews has removed his family from New Haven, Conn. to this town and for present occupies the “Ballard place” on Main Street. He is in business in Boston. May 30, 1873 AA – Mr. M. C. Andrews has bought the Dr. Edwards place, one of the most beautiful estates in town. The house has been thoroughly renovated and modernized and will with its pleasant surroundings, presents an attractiveness and neatness excelled by few, if any in the vicinity. Sept. 25 1874 AA – Dr. Shepard has removed from Mr. Nathan Ellis’ to Mr. M. C. Andrews. Menzies Christopher Andrews purchased the house on May 19, 1873. He was born in Hebron, ME in 1815 and became a member of South Church on Jan. 1, 1843, withdrew to Lawrence in July 1856. Known as M. C. or Christopher to his family, married Martha Griffin on October 15, 1840. She was the daughter of Joshua & Hannah Griffin b. April 13, 1815 in West Parish. Their children; Ellen Marie b. Dec. 11, 1842, Payson Kirk b. Aug. 31, 1845 d. 1894, Charlotte Martha b. July 18, 1848 in Lawrence died of scarlet fever on Dec. 7, 1849, Frederick A. b. 1849 d. Oct. 23, 1932 and William (Willie) b. 1857 d. 1857. He remained with the B&M R.R. until 1869 when he resigned to accept a similar position with the NY, New Haven & Hartford R.R. and remained for five years. M.C. then returned to Andover. M. C. Andrews had several inventions used by the rail road including the swing spring bolster, keeping cars level on sharp curves, and the synchronous ventilator for passenger cars which could open all on one side at the same time by throwing a lever. Son Frederick A. Andrews married Ella Olive Stocking in 1882 and shared the house with his parents 17 years. His mother Martha Andrews died in 1901 and his father M. C. on May 3, 1907 at age 91. They were married 61 years. Frederick lost his wife Ella three months later on Aug. 17, 1907. 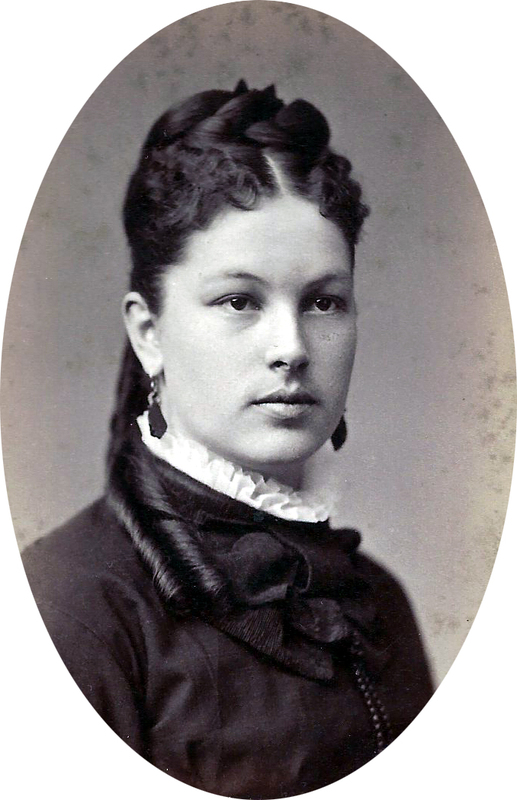 Ella was a member of the King’s Daughter’s Circle and was superintendent of the Guild relief work. Frederick continued to reside in the house but rented out a portion of the home to other residents. 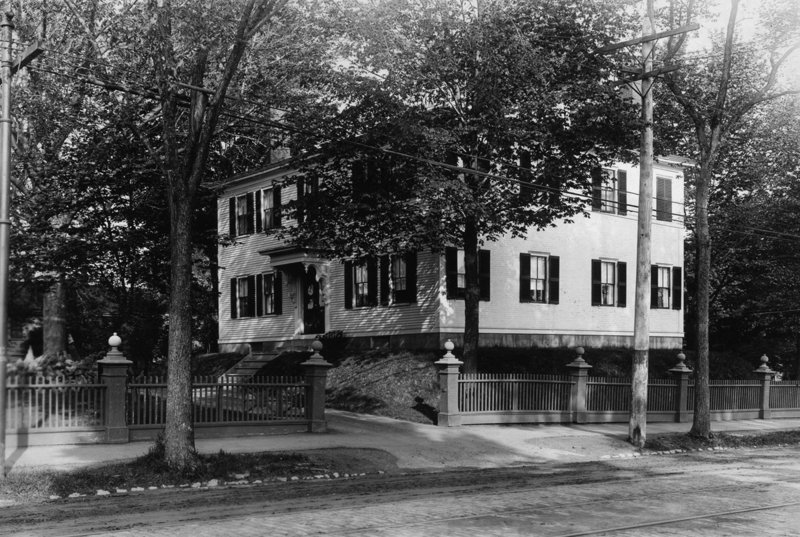 In 1911 Dr. Charles Abbot, who lived across the street at 70 Main Street, became the first president of the newly formed Andover Historical Society. Rooms were rented from Andrews and the society remained at this location for nearly twenty years. June 6, 1924 AT - pg. 3 Andover Historical Society Visit by a New Member – description of Andrew’s House, rooms and exhibit. Frederick sold the property on April 18, 1928 to William J. Burns, owner of the Burns Clothing Store at 13 Main Street and several other real estate properties in town. Frederick Andrews then moved back to Lawrence, where he was born, and died on October 23, 1932. The Andrews family is interred at South Cemetery. The property was sold by William J. Burns to the United States Government on March 26, 1931 for the site of a new post office building. December 17, 1931 AT - Work started on Thursday on the demolition dwelling that now stands on the site of the new Andover Post Office. The building is being stripped and will be razed in preparation of foundation for the new government building on Main Street. Jan. 8, 1932 p1 AT - "Tear Down Wall on Post Office Site - The front wall of the old historical house on the site of the new post office, which has been standing for more than a week while the rest of the building was demolished, reminding passers-by of a scene in wartime France, was finally pulled down Wednesday night between 10 and midnight. The work was held up until this time because contractors wished to destroy the wall when traffic was light and the danger from falling bricks was minimized by the absence of cars and persons in the vicinity. While the wall was being torn down by wrecking experts who used simply a strong steel cable attached to a small automobile Acting Sergeant Leonard Saunders and Motorcycle Officer William Shaw were on duty on Main street near Chestnut stopping automobiles and keeping people away. About seven persons, including one woman, were at the spot to watch the demolishing work. When the bricks are trucked away, the foundation will be ripped out, the knoll leveled off to the street, and work will begin laying the foundation of the new building. Three trees will be uprooted before the building is erected. The first has already been cut down." This property in 1888 was listed as 52 Main Street but by the twentieth century as #71. The Post Office was opened in 1932 and remained at this location until January 1989 when it relocated to Stevens Street. The building remained vacant for about four years before being purchased by Nicholas Aznoian on January 21, 1994. The PO building, listed on the National Register of Historic Places, was renovated on the interior but the exterior facade was preserved. The first new tenant was the First Essex Bank of Lawrence, later purchased by Sovereign Bank. Andrew's house from Chestnut St.